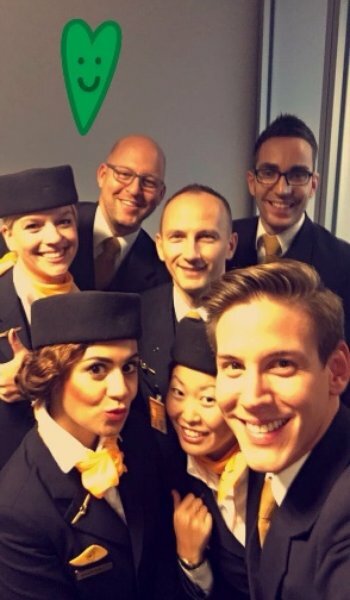 Lufthansa is using Snapchat to connect social media fans with the airline’s employees who are the face of the company — its crew members — in an intimate, behind-the-scenes fashion. Since the Lufthansa Crew Stories were launched in September, the airline has experienced an 800% increase in snapviews of each story, according to the company. The retention rate is very strong and viewership of each episode of a crew’s story is relatively constant. Also, fans are engaging with the Crew Stories according to the large number of direct chats crew members receive, including manyqueries into how to apply for a flight attendant job at Lufthansa. The next Lufthansa Crew Story debuts today when the crew takes off for San Jose, Calif., to start the Crew Connections promotion. The Lufthansa Crew Stories initiative has been so successful that now it’s being taken to the next level through Crew Connections (#LHCrewConnections) events in San Jose (today and Thursday) and New York City (May 24 and 25). Through this promotion, select crew members will interact with people in these cities. All of this will be captured solelyon Snapchat, where the crew’s exact locations will be unveiled for people in those cities hoping to win prizes, including airline tickets. There is no agency involved in the execution of the Crew Stories. The initiative is handled by Lufthansa and its crews with the sole execution being in the crews’ hands, meaning Lufthansa does not act as a “filter” for the content shown on Snapchat, said Daniel Abt, marketing communication manager for U.S./Canada, Lufthansa. For the execution of the Crew Connections campaign, the airline worked with Sparkloft Media. The stories provide a very unique, unfiltered, up-close, authentic and very personal behind-the-scenes look into the life of a flight attendant at Lufthansa, he adds. A previous story took place on an A380 flight from Frankfurt to Los Angeles where the crew takes viewers inside the crew’s hidden quarters in the belly of the plane. In another story set in Cape Town, a Lufthansa flight attendant who grew up in South Africa takes viewers on a personal, guided tour of the destination.